Craving Sweet or Salty? Carrying High or Low? 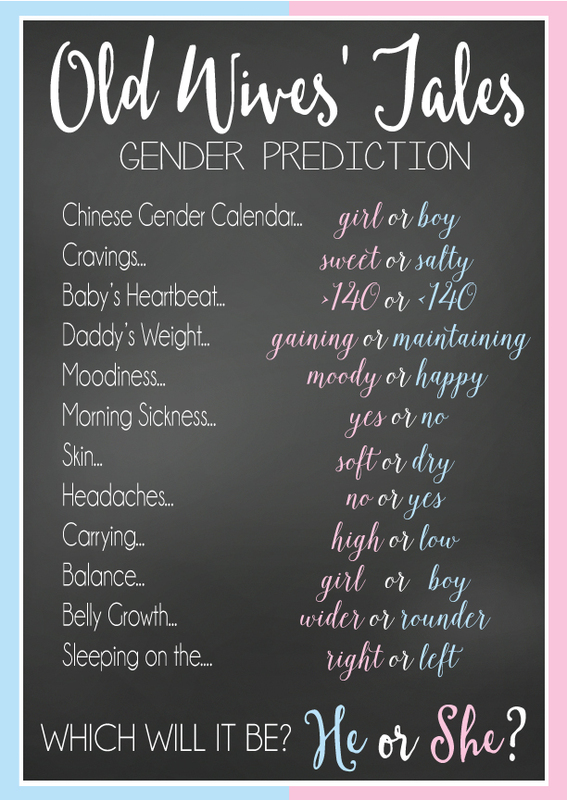 Have Some Fun with Your Gender Reveal! I love a good party, and I LOVE a good surprise. So why the HECK didn’t I think of this adorable gender reveal party trend? Lately mamas have been coming into my retail store with sealed envelopes, and after picking their favorite girl and boy items, they hand the envelopes to us to get a peek at what’s inside before making their purchases. And let’s be real—the self control it would take to have an envelope with your baby’s gender in your hands and not even TRY to see what’s inside…well, I just can’t imagine. Seriously, they don’t even hold it up to the light? I used to hold pregnancy tests to the sun WISHING for a line to appear, so I’m afraid my patience (or obsession) would get the best of me in a simple white envelope situation. Needless to say, the gender reveal party is on the rise, so move over baby shower because you’ve got some serious competition! There are many things to obsess over the second you find out you’re preggo, and one of my favorites is the gender of the baby. So many of us overanalyze every single aspect of our pregnancies to try to predict pink or blue, but in reality, we’ve got a 50/50 shot at guessing correctly, right? But still, I swear my booty was bigger with my girls and my belly was rounder with my boy. A coincidence? Perhaps. Fun to obsess over? Absolutely. At the last gender reveal party I attended, we played this adorable game where the guests got to analyze every detail of the mama’s pregnancy and guess “which will it be…he or she?” The hostess had a chalkboard similar to the ones below, and she had each of us mark our guesses according to what the mom-to-be had given as her old wives’ tales hints. 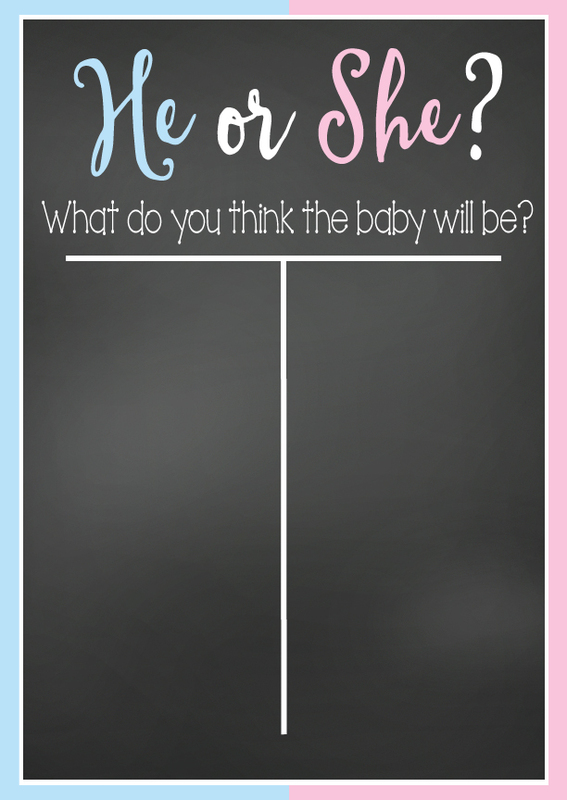 It was so much fun, and just in case you’re in the planning stages of your gender reveal party and don’t have the time or desire to create your own chalkboard, today I’m sharing Old Wives’ Tales and He or She? free printables that you’re welcome to use and share! Make sure you leave out a few cute pens or items for guests to use to indicate their guesses—think flowers, clothespins, M&Ms or just about anything else you can think of that comes in pink and blue! I’d love to hear about the creative way you told your friends and family what you were having at your gender reveal party. Share your ideas and stories in the comments!